Manufacturing plastic or metal parts by simply pressing a button to issue instructions: that is the vision of the scientists who will be researching new manufacturing technology in an SFB (Collaborative Research Centre) at Friedrich Alexander University Erlangen Nuremberg. A prominent visitor from Munich attended the inauguration of SFB 814. Bavaria’s minister for science, Dr. Wolfgang Heubisch, arrived at Erlangen’s Technical Faculty on 15 July 2011. He was welcomed to the test centre in the Department for Plastics Technology for a presentation of the SFB and a laboratory visit. SFB 814, which bears the general title “Additive Manufacturing”, was recently approved for the next four years by the DFG (German Research Foundation). Prof. Dr. Dietmar Drummer, the head of the Department for Plastics Technology, is spokesman for the Collaborative Research Centre which brings together FAU working groups on production technology, mechanics, material sciences, mathematics, mechanical and chemical process engineering and the Bavarian Laser Centre. 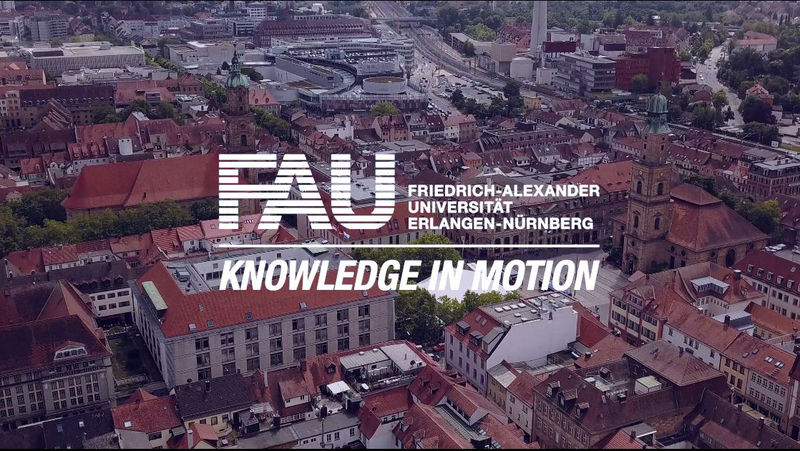 Of total funding of 8.7 million euros, the German Research Foundation contributed 7.3 million, and 1.4 million euros were donated by the University and the State of Bavaria. The terms “Additive Manufacturing” and “Generative Production” represent production technologies that build parts piece by piece directly from a computer model. These technologies make it possible to produce highly complex geometric shapes from plastic and metal without a mould or tools. Unusual constructions and structures which were not previously possible can be produced using technology, for example, assembled parts can be compressed into a single part. Powders can be used as the input material, as can other liquids or strand shaped materials. After “print on demand” it’s “process on demand”: just like modern paper printing allows text and graphics to be arranged onscreen, in the future metal and plastic parts will be conceived using a computer and sent to the production line at a click. As a result, certain investments will no longer be required, such as tool moulds that can only be used for certain products. Geometrical limitations will become a thing of the past thanks to this concept, as will the need to reach set production quotas to cover costs. Construction of additive production machines is relatively straight forward. Consequently, it is also expected that these machines will be cost effective to manufacture as soon as demand for them increases. In principle, it is now possible to produce parts using this technology. The methods have already been established to build prototypes. However, thus far there has been a lack of sufficient material and process comprehension to develop and mass produce technically usable parts with specific visual or mechanical characteristics. SFB 814 is tackling fundamental issues surrounding this very promising technology. On the one hand, a better understanding of powders in manufacturing should point the way to new and optimised powder based materials. And on the other, production processes must become more stable and existing simulations more exact. Furthermore, suitable construction methods for these processes have yet to be identified and the detailed display of computer designs for parts still lacks precision. These are the challenges the members of SFB 814 want to overcome. Around 35 academics from four technical and science departments are involved in the project. The research has been distributed to the Bavarian Laser Centre and to nine departments: Production Technology (Prof. Dr. Marion Merklein), Plastics Technology (Prof. Dr. Dietmar Drummer), Photonics Technologies (Prof. Dr. Michael Schmidt), Technical Mechanics (Prof. Dr. Paul Steinmann), Quality Management and Production Measurement Technologies (Prof. Dr. Albert Weckenmann, Dr. Johannes Weickmann), Materials and Metal Technology (Prof. Dr. Robert F. Singer), Solid and Boundary Layer Technology (Prof. Dr. Wolfgang Peukert), Multiscale Simulation of Particulate Systems (Prof. Dr. Thorsten Pöschel) and Applied Mathematics II (Prof. Dr. Günter Leugering). New possibilities, especially in medical technology, are opening up thanks to additive manufacturing. For example, implants or prosthetics could be tailored to individual patients during production. But such highly flexible manufacturing processes are also an exciting development for a huge variety of industries, as they have the potential to meet the market’s increasing requirements for diverse products and variable quantities. Germany’s international competitiveness will be strengthened as a result.